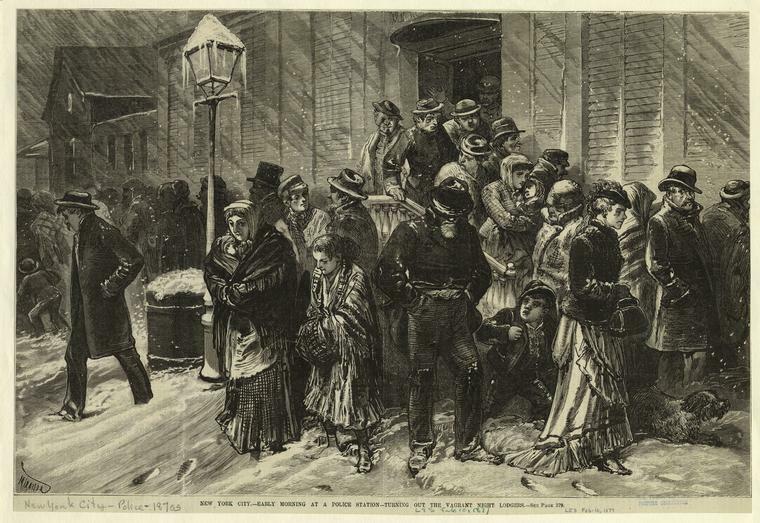 New York used to lump the sick, the poor and the homeless into one mass of needy unwanted. Since its founding, the city has struggled take care of the growing dual problems of poverty and plague, but in a way that kept the unwanted safely invisible to its wealthier classes. 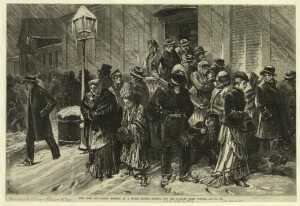 With the rise of immigration starting in the 1840s, the problem became too pervasive to simply throw people into large catch-all institutions like Bellevue Hospital (which, in its early years, served as almshouse, hospital, quarantine, prison and morgue). Soon Blackwell’s Island became the solution, with a string of grim institutions lining the East River island. Another solution for the homeless arose in 1870s in the delirious days of the scandals of the Tweed Ring. John H. Keyser made his fortune in the growing new field of indoor plumbing; in fact, he seemed to be wildly successful at it, a sudden millionaire in an era were certain men — with certain connections — grew wealthy overnight. Keyser may have had friends in high places, but he expressed an unusual need for the common man. Perhaps his outreach was a tad cynical; the poor he helped often voted the way Keyser preferred. But with the city facing a severe poverty crisis, even the baited gesture had beneficial results. The plumber king operated a ‘Strangers Rest’ at 510 Pearl Street in 1869, a boarding house for vagrant men and women. The vagrant house was situated halfway between City Hall and Five Points, and it operated on that spirit as well, an abode of good will and a little favoritism. You could stay if you were deemed “worthy,” meaning either good behavior or an unofficial pledge of allegiance to the Democratic Party. The following year, Keyser purchased a building for $8,000 owned by the New York Dry Dock Company and transformed it into the Strangers Hospital, a vagrant home and care center in the vastly crowded Lower East Side. 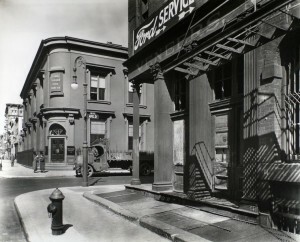 The building is still standing today at 143-145 Avenue D. Across the street is the Dry Dock Playground. In other words, you were worthy if they deemed you to be so. It was an odd differentiation. As an accommodation for up to 200 people, it served not only as a regular treatment hospital for the ‘deserving poor’, but as a convalescent home and halfway house. Most likely, you had to be recommended but a tenant in good standing and, as I mentioned, it probably helped if you were a Democrat. I underscore that because the Strangers Hospital didn’t last very long, closing in 1874. 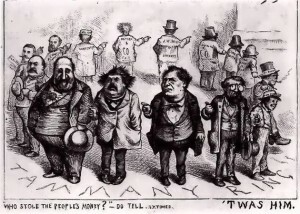 And this is why — Keyser was known as the ‘Ring Plumber’, a crony of William ‘Boss’ Tweed who enjoyed thousands of dollars in kickbacks and special favors. 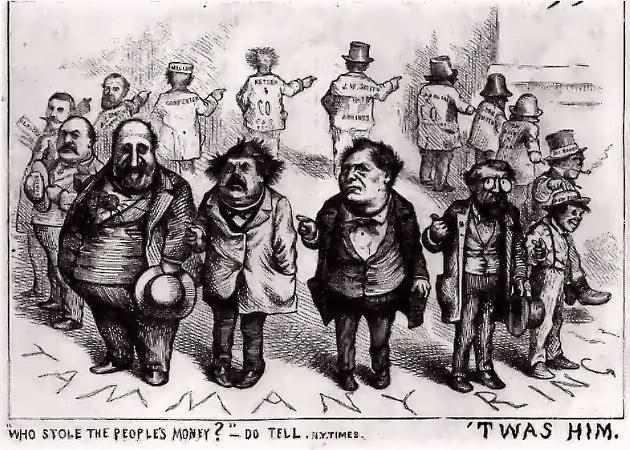 Tweed went to trial in 1873 for his crimes, and his cronies, although never formally charged, were disgraced. By 1877 Keyser went bankrupt. Still, his obituary lists several more philanthropic efforts by Keyser, including a “free eating house” in Washington Square in 1888. From the headline: “Thousands were aided by Man Accused to Being Tweed’s Partner.” So whether or not his actions were sincere, he did manage to fund the feeding and caring of thousands of poor and sick New Yorkers. Where does such a legacy stand?